Mick Kolassa has lived and breathed the blues for the past 50 years and he is not only an accomplished singer, songwriter and guitarist, but he is also on the Board of Directors of the Blues Foundation. Taking this a step further, the proceeds from his new CD, Ghosts of the Riverside Hotel, are going to the HART Fund and Generation Blues charities that are administered by the Blues Foundation. 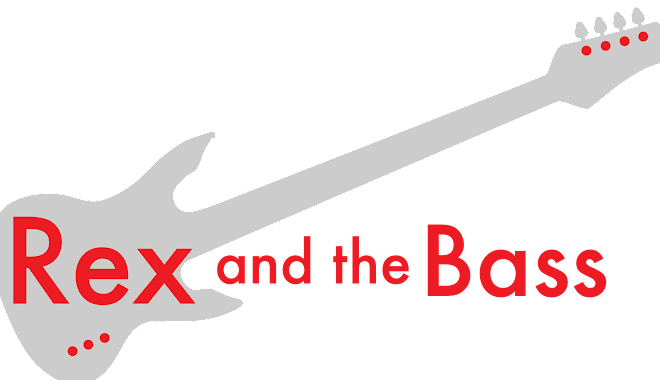 If you are not familiar with these organizations, please look them up as they help artists in need and kids that are getting into the blues. This new disc is 50 minutes of solid entertainment, with eight Kolassa originals and four really cool covers. This project was recorded in Memphis and was produced by Jeff Jensen; it features a retinue of Mick’s friends, including Jensen, Brandon Santini, Victor Wainwright, Annika Chambers (yay! ), Watermelon Slim, Reba Russell, and a whole bunch more. The album title honors the Riverside Hotel in Clarksdale Mississippi, which has hosted a passel of fine musicians over the years, including Ike Turner, Duke Ellington, Howlin’ Wolfe and Sam Cooke. Bessie Smith passed away there back when it was a hospital, and even John F. Kennedy stayed there. Those are some pretty amazing ghosts! The cover tunes were chosen well, and prove that Mick loves the blues – all kinds of blues. There is a spooky blues-rock take on Hank Williams’ “Ramblin Man” that could re-define what the song means to you. The band took the depression-era “One Meatball” and turned it into a lounge act with Mick channeling his inner Cab Calloway and Reba doing the Andrews Sisters part while Wainwright plays the ivories. But the standout of the covers has to be “Mama Told Me Not to Come.” This is nothing like the Three Dog Night version, but instead it is straight-up blues with the amazing Santini howling on his harp and Chris Stephenson holding things together with his organ. By the way, Randy Newman originally wrote this song for Eric Burdon, which might help you win a trivia challenge some time. The covers are awesome but the originals are special too, as Kolassa shares his love for all kinds of blues. One of my favorites is the closer, “Delta Town,” which has a crazy beat and some gnarly style changes. Mick growls out the lyrics as Watermelon Slim does his job with the harp and dobro and Walter Hughes plays his mean slide guitar. Before I forget to mention it, Bill Ruffino and Robinson Bridgeforth hold down the backline throughout, and one could not hope for a better rhythm section. The most poignant track on his album is “Nothin’ Left to Lose (Robin’s Blues), a tribute to the late comedian and actor, Robin Williams. This slow blues song features wonderful sax work from Kirk Smothers, which almost approaches the realm of jazz. But the lyrics are what really make the song, as they recount the feelings of a man who is putting on a happy face for the world while he is falling apart inside. 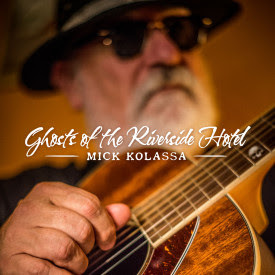 Mick Kolassa’s Ghosts of the Riverside Hotel is a fantastic album that is chock full of first call musicians and good production values, which are reasons enough to buy a copy. But, when you throw in the fact that the proceeds will further blues music education and help out musicians in need, this CD should be at the top of your list. Maybe it is a good idea to start your holiday shopping early!